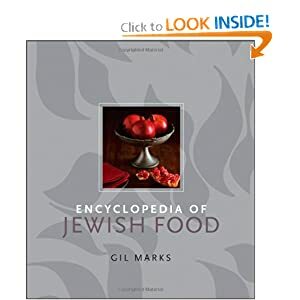 Tablet Magazine’s review of “The Encyclopedia of Jewish Food” make a 650+ page book sound mouth-wateringly good. The podcast interview with the author doesn’t sound too bad either, including a response on the key question “what makes food Jewish in the first place?”. That podcast link also has a couple of recipes so it’s worth clicking through. And the book is the right price for a not-quite-last-minute Chanukah purchase.